I love this story. A year ago when our family was going through a lot of things in the house on Niles we came across this story; I just 'refound' it and it puts a big smile on my face. This article was published in a local newspaper in Monticello, MN several years ago. 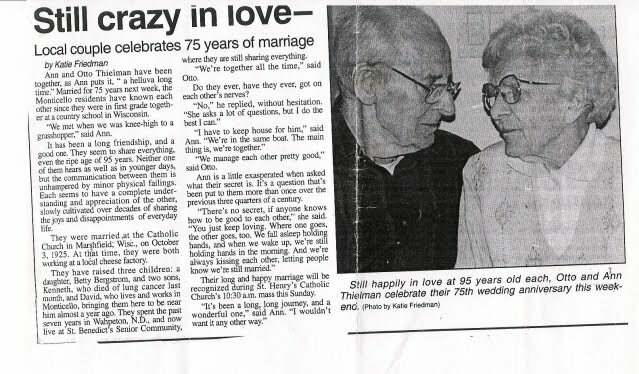 It is about Ann (my Mother's aunt) and Otto Thielman who hit their 75th wedding anniversary. My Mom absolutely loved this particular aunt and uncle. They had a beautiful house (really, practically a victorian mansion) close to Grandma and Grandpa Saunders' farm. Ann was the type of woman who was wearing pearl earrings, a dress and high heels even if she didn't leave the house for the day and was only doing chores. Otto had a natural handyman and was often working on different projects with his nice tool collection. Here are a few of my favorites from the article. "We're together all the time." said Otto. Do they ever, have they ever, got on each other's nerves? "No," he replied without hesitation. "She asks a lot of questions, but I do the best I can." "I have to keep house for him," said Ann. "We're in the same boat. The main thing is, we're together." "We manage each other pretty good." said Otto. Ann is a little exasperated when asked what their secret is. It's a questions that's been put to them more than once over the previous three quarters of a century. "There's no secret, if anyone knows how to be good to each other," she said. "You just keep loving. Where one goes, the other goes too. We fall asleep holding hands, and when we wake up, we're still holding hands in the morning. And we're always kissing each other, letting people know we're still married." Their long happy and happy marriage will be recognized during St. Henry's Catholic Church's 10:30am mass this Sunday. "It's been a long journey, and a wonderful one," said Ann. "I wouldn't want it any other way." They lived to be 95 and 96, dying within 6 months of each. I love the line, "Marriage is no secret if anyone knows how to be good to each other."! If only the rest of the world thought it was that easy! Nothing is more practical than finding God, that is to say: than falling in love in a quite absolute, final way. What you are in love with, what seizes your imagination will affect everything. It will decide what will get you out of bed in the morning, what you will do with your evenings, how you spend your weekends, what you read, who you know, what breaks your heart, and what amazes you with joy and gratitude. Fall in Love, stay in Love and it will decide everything. 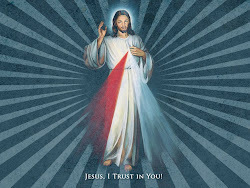 O Blood and Water, which gushed forth from the Heart of Jesus as a fount of mercy for us. I trust in You! 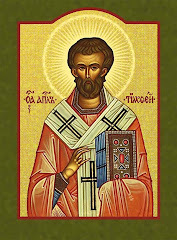 Most Holy Apostle, St. Jude, faithful servant and friend of Jesus, the name of the traitor who delivered your beloved Master into the hands of His enemies has caused you to be forgotten by many. But the Church honors you, and I invoke you as the special advocate of those who are in trouble and almost without hope. Help me to realize that through faith we triumph over life's difficulties by the power of Jesus Who gave His life for us. 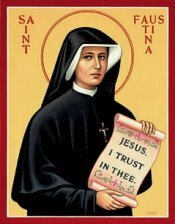 Come to my assistance that I may receive the consolation and succor of heaven in all my needs, trials, and sufferings, particularly (here make your request) and that I may praise God with you and all the saints forever. St. Jude, apostle of the Word of God, pray for us. St. Jude, follower of the Son of God, pray for us. St. Jude, preacher of the love of God, pray for us. St. Jude, intercessor before God, pray for us. St. Jude, friend of all in need, pray for us. St. Jude, pray for us, and all who invoke your aid.